Thank you for accepting our invitation to be a Team Lead (TL) or Assistant Team Lead (ATL) for a hosted event with The Summit Project (TSP)! TSP’s continued success is through the dedication of our volunteers, and we appreciate your willingness to take on this responsibility. A TSP hike is both physically and emotionally challenging. Typically there is laughter and smiles as the team bonds on the physical challenge of the hike to the summit, but the descent is much quieter after the Circle Ceremony where the stories of the fallen have been shared. If you have never experienced a TSP hike before, there is no way to fully prepare you for the impact that it will have on you. It is a very personal experience that is as unique as the individual. Past TL’s have provided feedback to TSP that a “Welcome Packet” of sorts would be helpful when TL’s are assigned for a TSP event. Whether you have hiked with us before or not – we hope you will find the information contained in this letter helpful. A TL, or Team Lead, is appointed to lead each of the hiking teams at a TSP event. Each TL has an ATL (Assistant Team Lead) to support them on the hike. It is their responsibility to ensure that the team has a safe hike and a successful mission. How does TSP choose TLs? TSP is always scouting our volunteer base for people who go above and beyond in their commitment to meeting our mission – to ensure that Maine Heroes Are Not Forgotten (MHANF). These volunteers do not necessarily have to have the most hiking experience, but they exhibit natural leadership and stand above in their commitment to the Families, the Fallen, and the Faithful. What are a TL’s responsibilities? This information packet is by no means meant to be a rigid rulebook for acting as a TL. It will, however, give you some helpful tips from previous TLs that you may find useful in getting started with your team. Many volunteers from your team will have a Facebook account, but there is no guarantee that every one of them will. It is important to reach out and introduce yourself to your team via the emails provided in the Team Roster. Share a little about yourself and what brought you TSP, share your excitement for the upcoming hike, and let them know how to contact you (and your ATL) if there are any questions. It may also be helpful to ask if there is anyone on the roster that does not have Facebook and/or provide a way for those who do to find you on Facebook. Past TL’s have found it helpful to have a Facebook Group where information can be shared, icebreaker activities can be started, and team members can be brought together virtually pre-hike when geographically an in-person meet-up is difficult. If you choose to create a Facebook Group for your team, please invite leaders of TSP organization to the group for informational purposes only and keep the group “Secret” or “Hidden” so that only those invited can see the team page. TSP encourages TLs to reach out to their team to plan pre-hike team-building activities. Past teams have held car wash fundraisers, met for dinner, or arranged a smaller hike. We encourage you to reach out to your team to bring them together pre-hike. If the event you have been chosen as TL/ATL for has a fundraising goal, the event specific communications will contain information on that. It is up to the team if they would like to contribute personally or organize around a fundraiser. Past teams have participated in fundraising activities such as a car wash or bake sale in order to both Fundraise and Team Build. In an ideal situation, all members of the team would be able to have an informal team-building session in person. 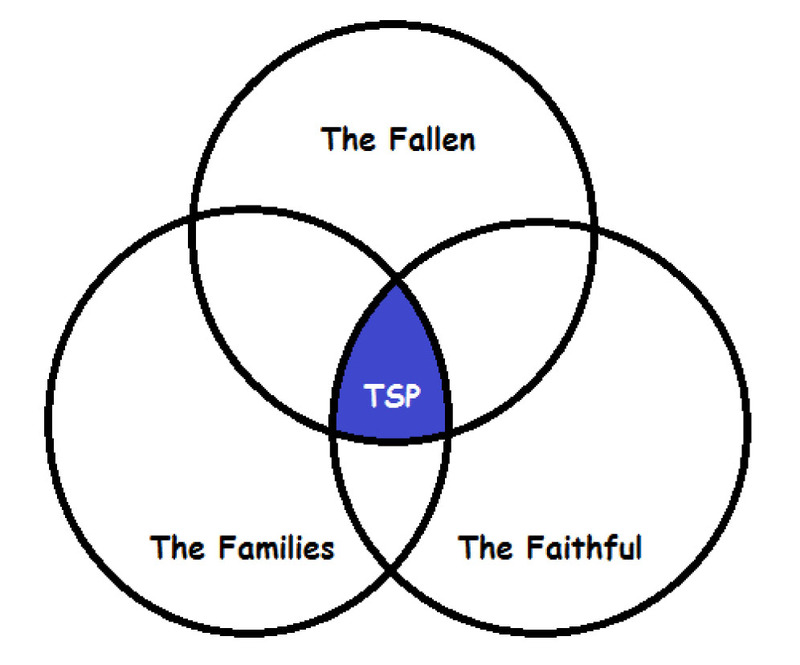 TSP recognizes that geographically that may not always be possible for all members of a team. In the past, TLs have brought the team together using Facebook by prompting discussions about what brought the team to TSP, sharing of “fun-facts” about each team member, or spotlighting hiker- bios when TSP posts one from their Team Roster. As a TL, it’s important to encourage your team to interact and get to know each other pre-hike. A TL should attempt to learn as much as they can about the route they have been assigned. If possible, we encourage you to hike the route in advance of the TSP hike, although we also recognize that due to distance and time constraints – that is not always possible. We encourage you to study a map of the trail you have been assigned and reach out to past TL’s with any questions that you have. As a TL, it’s important to know your team when it comes to physical fitness, hiking experience, etc. When a hiker signs on with TSP, a registration form is filled out for TSP – but these are not shared with the TL. It is up to the TL to communicate with the team and rally around not only knowing each of them but also making sure that they each know their TL and have opportunity to voice their own questions and concerns. Some TSP hikers have years of experience and many miles logged on the trail. Others will be novice hikers and may even be on their first real hike. It’s important to communicate with your team what is expected of them as it relates to gear. A person that has never hiked may not think of how conditions can change with elevation gain, for example. It is up to you as TL to make sure the team is prepared for the hike. A team’s mission is not only to reach the summit. The mission lies in learning about the fallen, carrying their memory through the hike, and writing to the family post-hike. The emotional journey is sometimes more difficult than the physical journey. Encourage your team to prepare by reading about the fallen and watching the video on The Honored page at www.thesummitproject.org, reading past letters that hikers have shared in the comments section below, and reflecting on the connections they made personally with the soldier’s story. Before leaving base camp with your team, it is important to do a final check to make sure that all of the hikers have their necessary gear to complete the mission. Team Roster – the TL and ATL should both have a printed Team Roster on hand for the hike. This should include hiker/hero pairings. Radio – each hiking team will have a radio provided by TSP. This should be checked before leaving base camp. First Aid Kit – First Aid Kits are provided to any hiker that would like to carry one. TL/ATL should both carry a kit. TLs are responsible for tracking how many kits are in their team and their return to TSP after the hike. Trekking Poles – if hikers would like to use trekking poles, TSP does have these available. It is up to the TLs to know how many sets are in their team and track their return to TSP after the hike. Personal Hiking Gear – ensure your team has packed water, layers, etc for their hike. Allow slower hikers to hike in front to set a pace for the team. ATL/TL should space out to monitor the team and make sure there are no large gaps developing between hikers. Assign a more experienced hiker to run “sweep” at the rear of the hiking team. Each team will have radios provided by TSP, and it is up to the TL/ATL to communicate with other teams on the hike to maintain spacing (when teams are on the same trail) and maintain timing for reaching the summit (when on different trails). Each hiking team will have a photographer in the roster. While the photographer will be taking photos throughout the hike, it is important to be conscious of them as a TL. TLs should keep an eye out for points in the trail that can double as a rest break and photo-op. Many families are unable to participate in the TSP hike, and so this is the way they are able to later see how the mission was completed. When familiarizing yourself with your team, be sure to touch base with the photographer to become aware of any of their needs/concerns/requests for the hike. Each TL/ATL will be responsible for nominating hiker(s) from their team for recognition of the outstanding job they have done on the hike. Depending on the team size, you may be asked to nominate one or two hikers for recognition. This should be a hiker that you feel went above and beyond as a member of your team. It’s up to each TL/ATL to decide for themselves what “above and beyond” means – showing leadership, providing support (physically or emotionally), etc. Being nominated as a hiker by the TL/ATL is a great honor, and many of those nominated will go on to be TLs/ATLs at future TSP events. The Circle Ceremony is held at the summit of each TSP hike. While the hike presents physical challenges, the Circle Ceremony is a very emotional experience. TLs will gather their team together in a circle at the summit. Each hiker will remove the stone they carry from their pack. Beginning with the TL, each hiker will share the story associated with the stone. When they have finished speaking about the stone, the stone is placed in the middle of the circle before the next hiker takes their turn. This is a very personal and emotional experience for each hiker. There will be tears, but there will also be laughter and smiles as they share about the lives of each of the soldiers TSP honors. What a hiker chooses to focus on and share will be different from hiker to hiker. As a TL, your responsibility is only to establish the setting – and then let the team speak. Once the last hiker has had the opportunity to speak about their stone, TLs typically hold a moment of silence for the fallen before the stones are gathered back to the hikers’ packs for the return trip. The Stone Exchange occurs when the hikers return to base camp. Hikers will have the opportunity to physically bring the stone to the family of the fallen (if present) or to a member of another family (if the fallen’s family cannot attend). This is symbolic of the homecoming of the soldier, and can be very emotional. 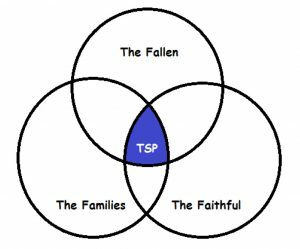 As a TL, it is important to coordinate with TSP so that each hiker knows whether their family is there to receive the stone or not. Once TL and ATL have decided who they would like to nominate in their team, the next step is to find Major Dave Cote to communicate their decision and what made this hiker stand out in the team. Major Dave Cote himself will take action based on the nomination along with communicating why they were chosen and that the decision was made by their TL/ATL based on their dedication to the mission during the hike. There are three basic parts to completing the TSP mission – Learn, Launch, Letter. At this point, the hikers have Learned about the fallen and Launched their hike. The final piece is to complete their Letter to the families. TSP has communicated the “how” to complete the letter and will track the overall completion of letters by each hiker through the TLs. TLs should monitor the completion of these letters by the team and provide status to TSP 10-14 days after the event. Each hiker may take a different amount of time to process their experience, but it is TSP’s expectation that within 2 weeks the letter portion of the mission will be complete. TSP values feedback from both the families and the volunteers. There will be feedback forms and/or online surveys after the event. There may also be a TL/ATL specific feedback form that you are asked to fill out. TSP is continually looking to improve upon how we execute our mission, and the feedback from our TLs and ATLs is a very important piece. This document is a “living document”, and your feedback may become part of a future revision of the welcome packet. Please take this opportunity to let us know what you feel we did well, and what we could do differently in the future to improve the experience. From all of us at The Summit Project, we want to thank you again for accepting the invitation to be a Team Lead or Assistant Team Lead for this hike. It is through the hard work and dedication of people like you that we are able to continue our mission. If you have any questions or concerns leading up to your hike, please feel free to contact our Hiking Team Coordinator Andy Pattle at andy.pattle@thesummitproject.org or Executive Director Greg Johnson at greg@thesummitproject.org.